For even spraying a road surface with emulsion. 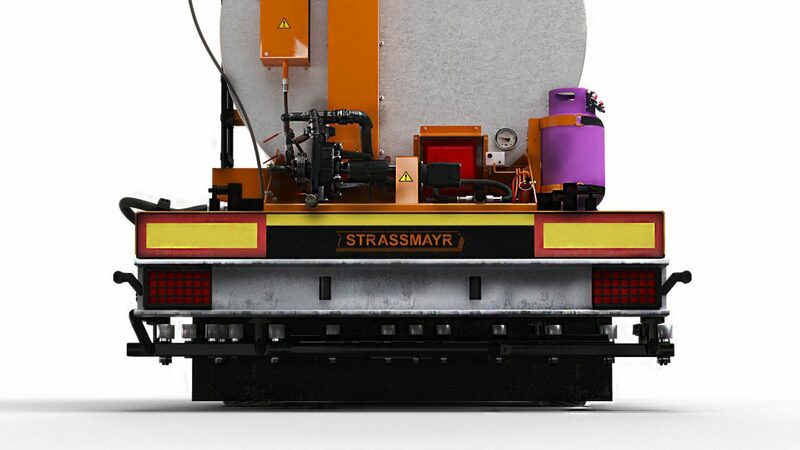 Straßmayr RTS 2500 EF sprinkler and its larger equivalent, RTS 5000 EF, are used for even spraying of a road surface with emulsion. They are constructed on their own two-axis chassis. Their independence from the carrier is a great advantage of these devices. They can be either towed by a tractor, tipper or truck. 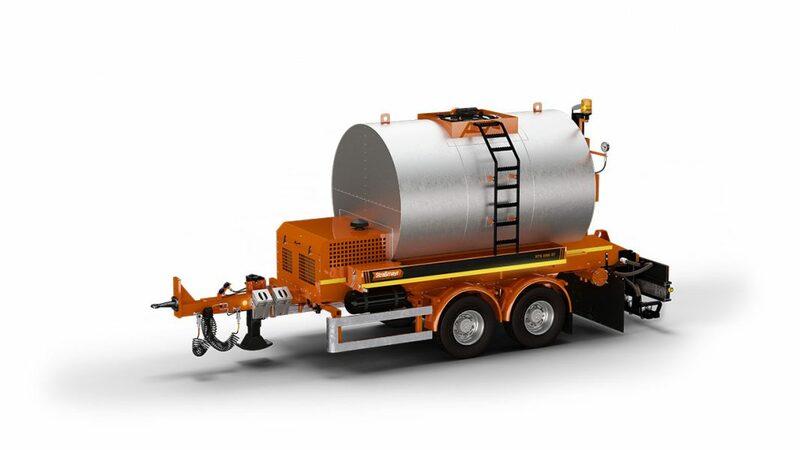 After the work, they can be used as the emulsion stationary tanks. Emulsion is collected in an insulated tank equipped with the automatic heating system with the oil and the thermostat to keep the set temperature throughout the working day of the machine. 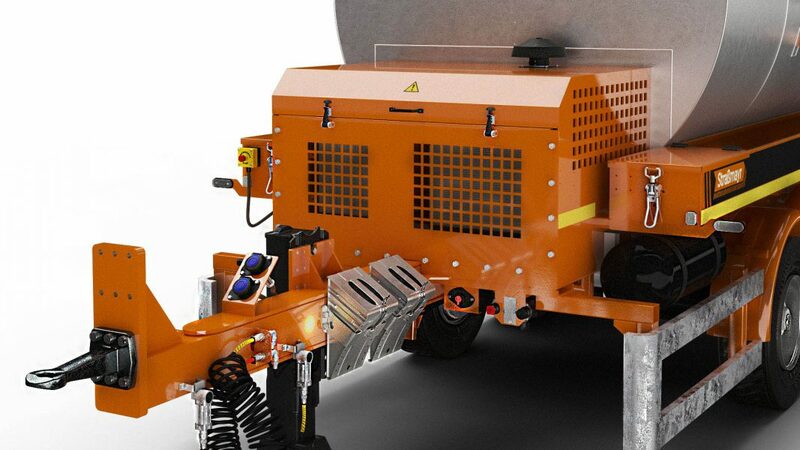 The sprinkler is equipped with a beam with nozzles responsible for a spraying width from 2.5 to 4 m. In addition, the device has an additional manual lance to spray hard-to-reach or smaller areas. Independence of the device from the carrier. Possibility to use the machine as the emulsion tank. 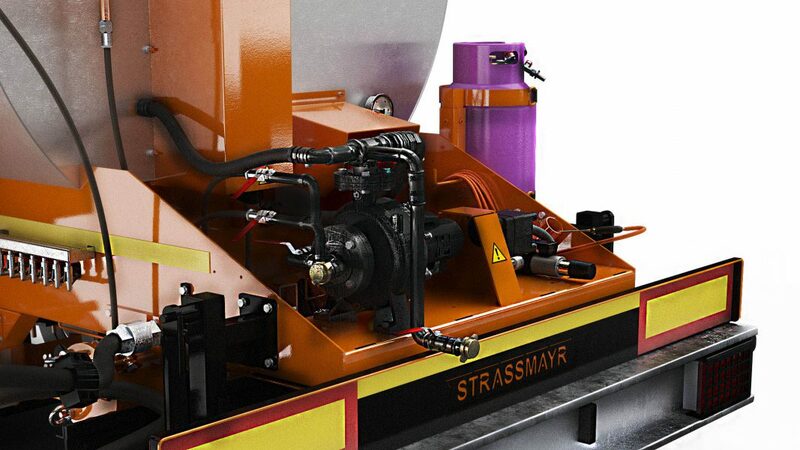 Spraying with a width of up to 4 m.
Manual and automated process control.